The drinking water of some six million people across the country may have elevated levels of unregulated toxic chemicals widely used in the past in many household products â€” notably pans coated with Teflon â€” a Harvard-led study published Tuesday found. Resistant to heat, water, and oil, perfluoroalkyl substances (PFAS) are a class of chemicals that have been used for decades to coat fabric or food packaging, and to manufacture fire-fighting foams and Teflon pans. Now mostly phased out in the U.S., PFAS went unregulated and were often disposed in watersheds. These chemicals are persistent in the environment and have been linked to adverse health effects in animals, according to the EPA. In humans, PFAS have been linked to a wide range of illnesses, including birth defects, cancer, and immune system dysfunction, according to multiple studies. â€œThese compounds have been used for over 60 years and it is only in the most recent years that weâ€™ve began to understand how serious this pollution is, and how toxic [PFAS] are,â€� Philippe Grandjean, co-author and adjunct professor of environmental health at Harvard University, told ThinkProgress. 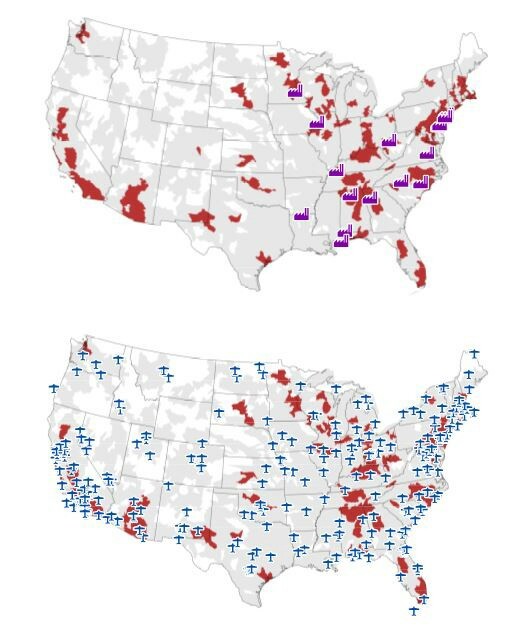 According to the study published in Environmental Science & Technology Letters, 75 percent of public water systems that exceeded PFAS federally recommended safety levels (updated this year) were found in 13 states: Alabama, Arizona, California, Florida, Georgia, Illinois, Minnesota, Massachusetts, New Jersey, North Carolina, New York, Ohio, and Pennsylvania. While PFAS are largely on their way out, the substitutes are at times chemically related and could still be toxic, recent studies have found. How can PFAS affect peopleâ€™s health? Scientists are not sure about the possible health effects of human exposure to PFAS. PFOS, PFOA, PFHxS and PFNA have been more widely studied than other PFAS. For the most part, studies have found that animals exposed to PFAS at high levels have shown changes in the function of the liver, thyroid, pancreas, and hormone levels. However, scientists are not sure how animal data applies to human exposure, because PFAS behave differently in humans than they do in animals and may be harmful in different ways. PFAS build up and remain in the human body and the amount reduces very slowly over time. So scientists and doctors are concerned about their effects on human health. â€¢developmental delays in the fetus and child, including possible changes in growth, learning, and behavior. More research is needed to confirm or rule out possible links between health outcomes and exposure to PFAS and to quantify the associated dose-response relationships. Overall, the scientific evidence linking PFAS exposures with specific health effects in people is mixed and inconclusive. Should I get tested for PFAS?